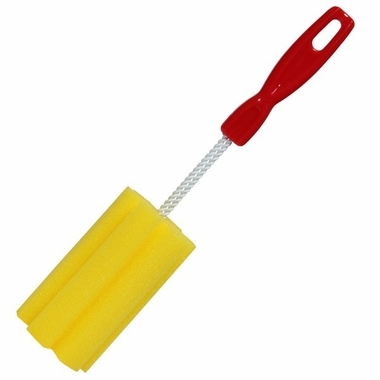 This large jar cleaning brush is made of a dual foam construction which speeds the cleaning time. Long handle to reach the bottom of the jar. Fits all canning jar sizes. Total length 10-3/4 inches. This brush makes cleaning jars simple and easy. It works with regular 1 quart jars and larger as well as all wide mouth canning jars. 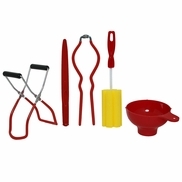 It can also be used for cleaning bottle, coffee mugs, drinking glasses and more. This large canning jar brush makes cleaning your canning jars easy and simple. It works best with regular canning jars 1-Quart or larger as well as all sizes of wide mouth jars. Unique dual foam construction helps speed cleaning time. Great brush for canning jars which can be hard to clean.